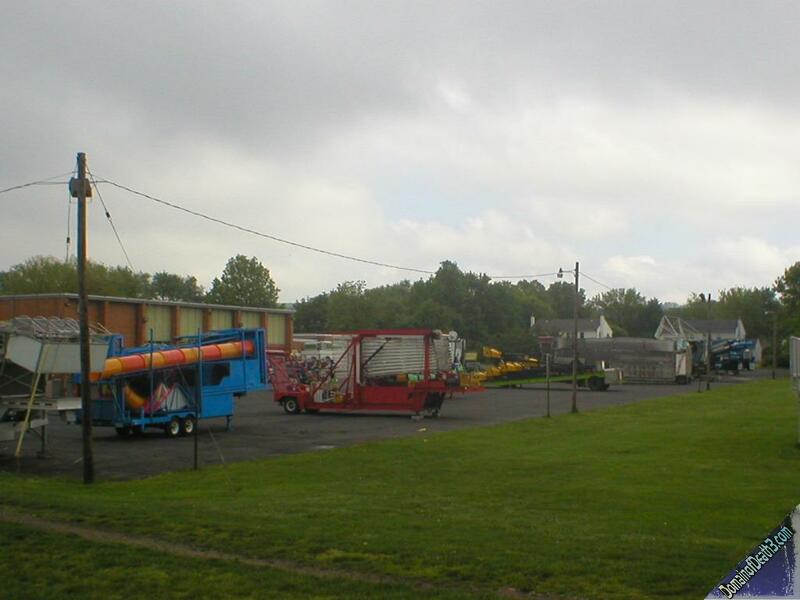 A myriad of kiddie rides. 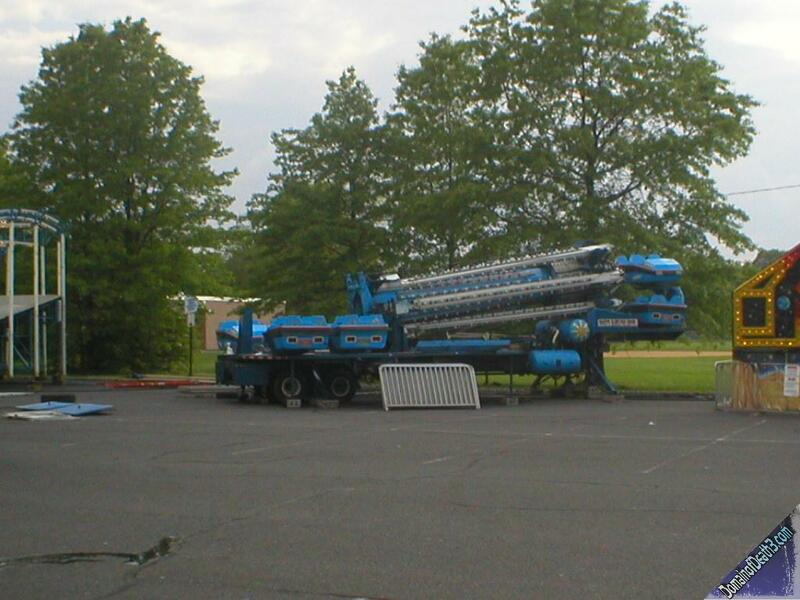 The fair was, in my opinion, a bit worse than the previous year. 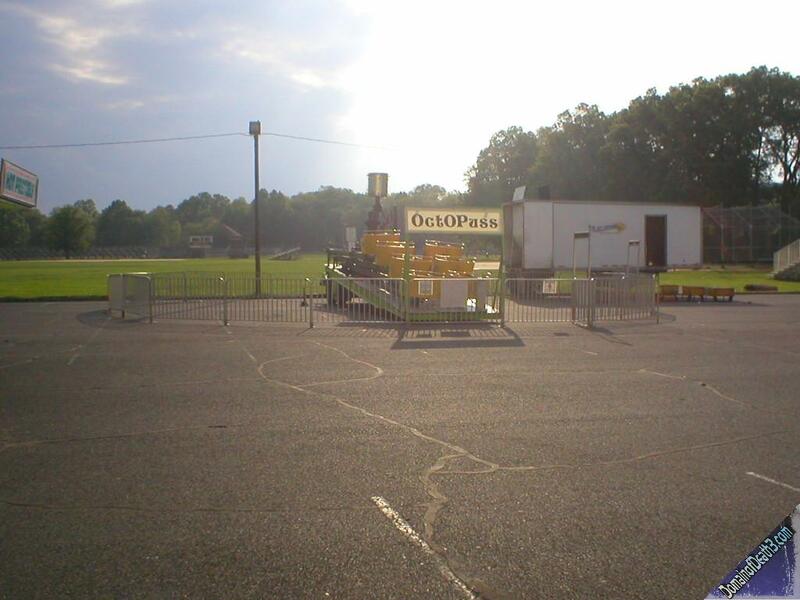 Last year the Hang Ten, the Tivoli made Orbiter, and the fairground staple that is the Loop-o-Plane grazed the parking lot bound midway. The Alpine Bobs was in very nice condition, but was run pretty slow, at least compared to some other versions that I have seen; at least it ran backwards. 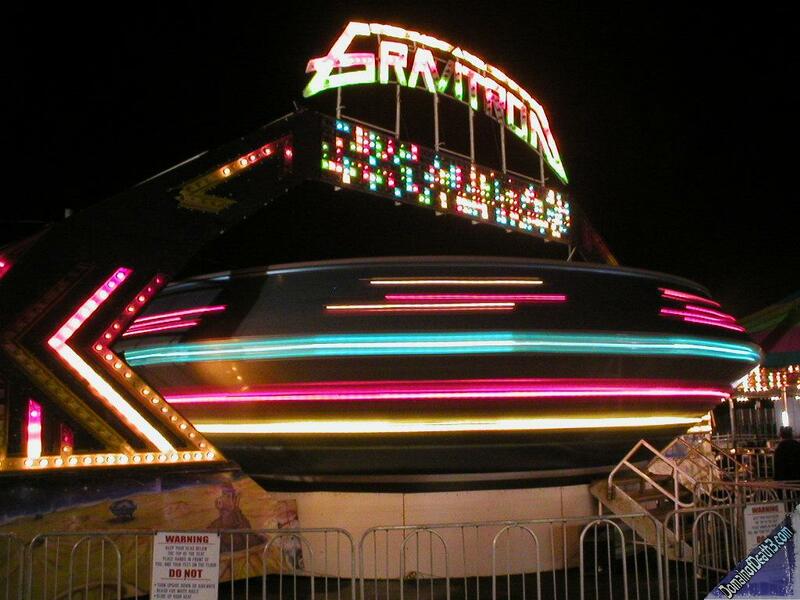 The Gravitron was…a Gravitron. The Octopus was pretty nice, though it’s been showing up at the fair for quite awhile now. The Skooters were pathetic really, not because of it’s appearence or operations, but just because all traveling Scooters are pretty bad. The area to roam around was about the size of a standard house’s living room. 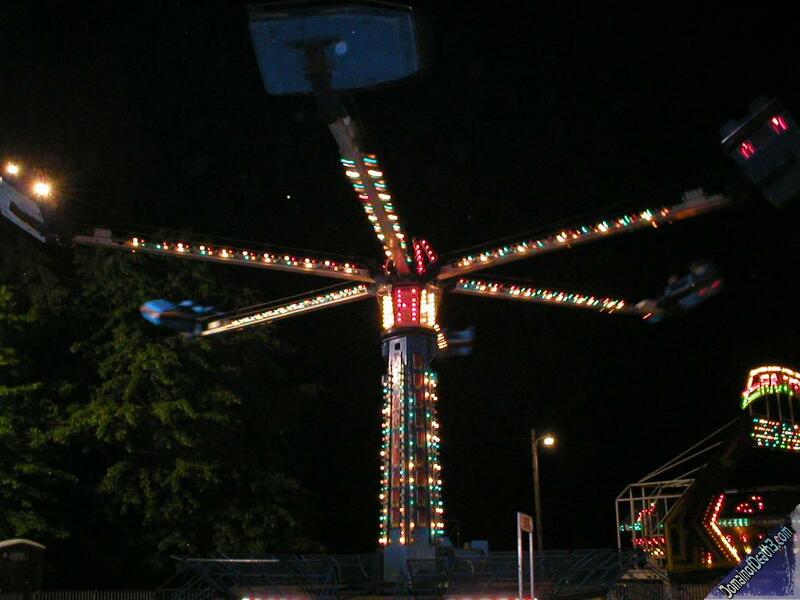 The Alpine Bobs was the main attraction this year, though in any large carnival it would have been a lowly filler ride. 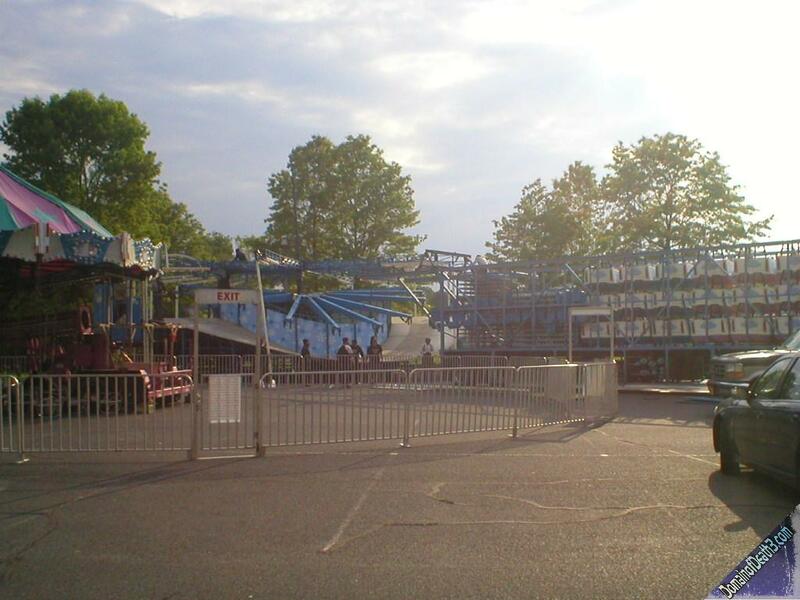 Considering the amount of good rides that Blue Sky owns (for example: the Zipper, a Watkins made Rampage (!!! 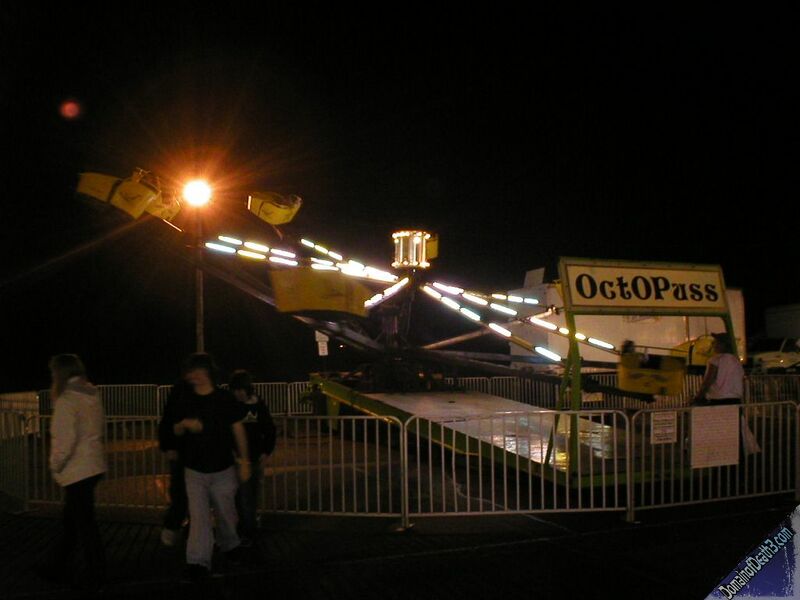 ), a 1001 Nachts type ride called Riptide, and a few other nice attractions) I was a bit disappointed. Then again, this is just a ‘country fair.’ However, for a family night out it was great.